Ah Tasmania, the Island of Inspiration, the Apple Isle, the Island of brilliant outdoor activities…okay we made that last one up, but it’s true; a plethora of outdoor wonders really does await you. As an outdoor living company, we’re pretty fond of all things outdoors. And while we focus our attention mostly on outdoor living around your home, we thought it’d be pretty cool to share 5 of our favourite outdoors-y things to do in Tasmania. Our love for Tasmania is showcased in our free e-book – the Ultimate Guide to Outdoor Living in Tasmania – a guide we really enjoyed making. With maps, event calendars and loads of local advice, make sure you check it out as well. But for now, here are the 5 outdoor activities we adore. Set against the backdrop of jaw-dropping parklands, beaches and lagoons, East Coast Natureworld boasts 150 acres and a vast array of birds, reptiles and mammals. 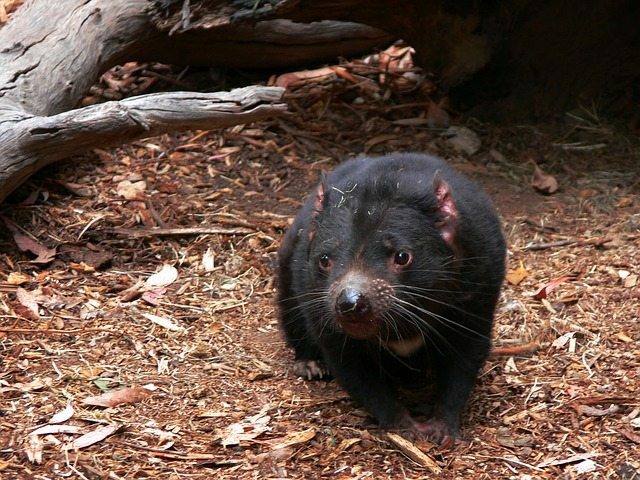 Visit wombats, koalas, golden possums, wallabies, parrots, cockatoos, quolls, tiger snakes and copperheads at East Coast Natureworld, along with the infamous Tasmanian devil! Natureworld offers great tours, a café and guaranteed interaction with the animals, making it the perfect spot for a family outing. Tip: Check the Natureworld website for feeding times, a great chance to get even closer to the animals and something the kids are sure to enjoy. Experience Tasmania’s wondrous landscapes and waterways by air. Seeing the island from a different perspective, a birds-eye view can astonish and delight. Choose a sea plane and land on the exquisite Gordon River, home to the second oldest tree species in the world (the Huon pine); pick a helicopter to glide westwards over Cradle Mountain; or schedule a private charter plane and gaze out over Hobart in style as you enjoy a glass of wine and some quality food. Salamanca Market is a massive street market that takes place every Saturday morning around the hip and buzzy Salamanca Place when 300 stalls pack the street with a huge selection of food and wares. There’s all sorts of artisanal products on display, honey, oils, chutneys and breads, a seasonal range of fruit and vegetables – the baskets full of cherries and berries are mouth-watering. But it’s the food stalls we really love, the ones that give off such appetising aromas as you wander round. 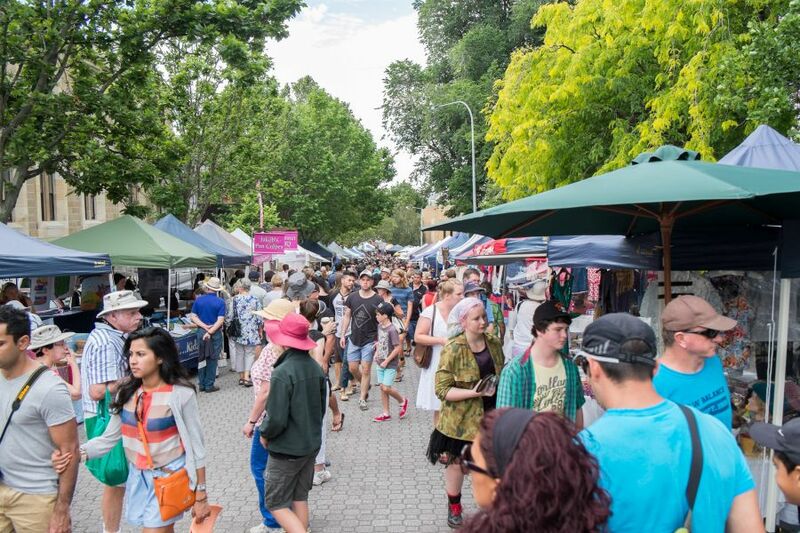 We guarantee you’ll leave full after visiting Salamanca Market. And if you’re lucky, you’ll be able to see street performances while you munch away on some stuffed mushrooms or rocky road. Port Arthur has a dark history, reputed as one of the most haunted sites in Australia. Once home to convicts, this atmospheric island is steeped in two centuries worth of documented sightings and reports of paranormal activity. 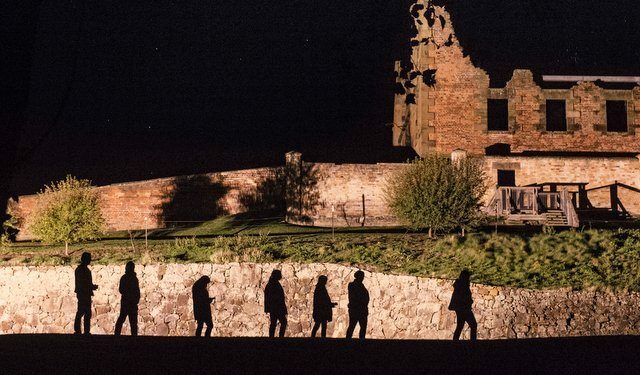 Every evening, Port Arthur hosts a spine-tingling ghost tour. Walk through the hallowed site with a solitary lantern and hear real accounts of prisoners and soldiers. The darkened ruins will come alive as bizarre sightings and violent history bring the walls to life. Once a month, Port Arthur goes further by conducting a paranormal investigation night. This allows participants to take readings and measurements as you attempt to hunt out the shyer ghosts from their hiding places. For the less paranormal-obsessed among you, there’s always the introductory tour or a harbour cruise, which allows you to see the place in a different light. Be warned though, ghost sightings may still occur. It was hard picking just 5 outdoor activities so we’ve packed 2-in-1 here. 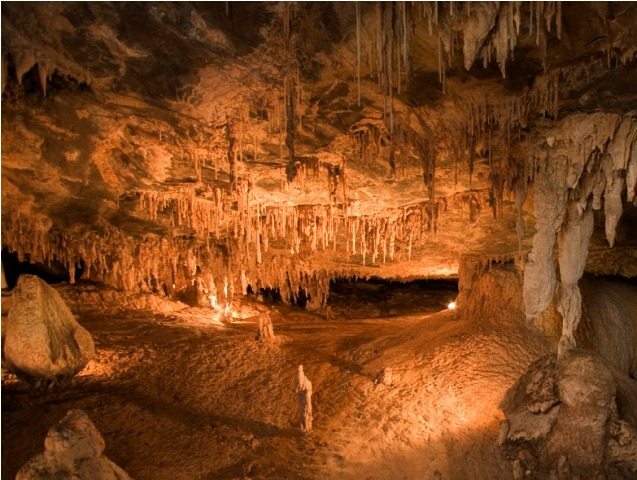 Tasmania’s extensive cave network – some of the longest and deepest in Australia – makes them a must-see. The caves of Mole Creek in particular, such as Marakoopa, are home to amazing reflective pools, underground rivers and glow worms. As for walking, Tasmania has some of the best trails in Australia. The Maria Island walk is our personal favourite, a leisurely 4-day tour on this world heritage site situated just off the east coast. It combines wildlife, scenery and history. Don’t believe us? Perhaps you’ll believe the 7 national tourism awards that the Maria Island walk has won. Of course, once you’ve partaken in one (or all) of these amazing outdoor activities, you’ll want to kick back and relax in your own outdoor space. If you’re looking for inspiration, check out helpful tips and guides on our blog or view Australian Outdoor Living’s range of outdoor products and love Your Life outdoors! Looking for some inspiration for outdoor living in The Apple Isle? Check out our Ultimate Guide to Outdoor Living in Tasmania!